Two students sit inside the M2 Mobile Mindfulness Studio. 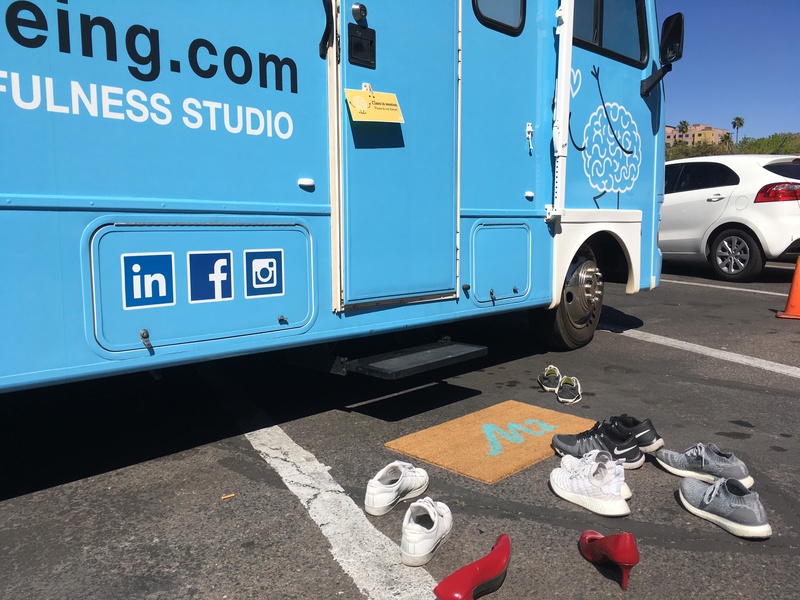 The M2 Mobile Mindfulness Studio parked on the ASU Tempe campus. A mindfulness session helps students on the Tempe campus de-stress in the midst of mid-terms.